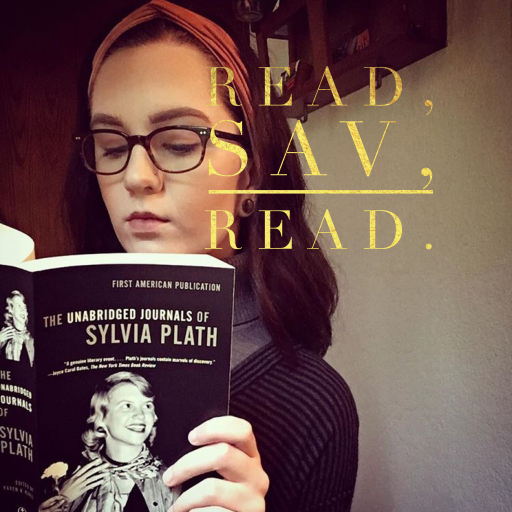 Articles – Read, Sav, Read. If you can’t seem to find time to sit down and read, audiobooks might be exactly what you need in your life. Between raising my son, working, and college, I don’t have much time for pleasure reading. While it can be difficult to make the time to sit down with a physical book, I have found that I get much more reading done when I listen to audiobooks while driving, cleaning, cooking, and exercising. Reflect on how you spend your time and incorporate audiobooks into your lifestyle. Though I love audiobooks, not everyone feels the same. I have friends who can’t focus on the book unless they are giving their undivided attention to a physical copy. Though they aren’t for everyone, I highly suggest that everyone give them a fair chance. There are several ways you can go about accessing audiobooks. You can purchase a set of CDs or use an app on your phone or iPod. Be sure and check with your local library, as well. The majority of my audiobook endeavors are courtesy of the library in my town. I check out audiobooks, both physical and downloadable, all for free. The downloadable audiobooks are available through the Overdrive app, which only requires you to sign in with your library username and password before giving you immediate, free of cost access to most every book you can imagine. When my library doesn’t have what I’m seeking out or the wait list is longer than I’d like, I will purchase the audiobook through the Audible app. When you sign up for Audible, you get your first month free. After your free month is up, you pay $14.95/month and receive one credit a month. Each credit redeems you a single audiobook. While this might seem kind of expensive, it should be noted that most audiobooks are priced around $49.95. If you want more than what your monthly credit offers, you’ll get additional books for 30% off. If you only need access to a cheap audiobook on Audible once or every once in a while, you can turn your subscription off and on as you please, just as I do. I recommend using Overdrive and your library’s resources before diving into Audible and spending money, but feel free to browse all of your options. If you don’t already have a library card, look up where your local library is and apply for a card. You might have to go to the physical location, but many libraries allow you to sign up online. If so, you can look forward to streaming free audiobooks in the very near future. What are your thoughts on audiobooks? What are some of your favorite books that you’ve listened to? Share your thoughts in the comments section below. While I try to utilize my local library as often as possible and read for free, I also like to purchase books that I end up loving. I justify my book buys by telling myself that they will all fit much more nicely in my future in-home library. With that being said, when I buy books (aside from the rare brand new purchase), I like to keep it on the cheap side. My three go to websites that I always keep my eye on are Thriftbooks, Book Depository, and Book Outlet. Thriftbooks is one of my favorite book websites because it has some of the best prices for books that I am actually interested in purchasing. I’ve come across some websites that do, indeed, have low prices, but don’t have currently popular books, classic literature, or best sellers of any kind. While the books are used, all of my orders have been in good to excellent shape. With a current deal on Thriftbooks, you can get 2 books for $7, 3 for $20, or 4 for $12. The website says, “Any book you find with a ‘Deal’ tag qualifies.” Thriftbooks is also currently offering 15% off your order if you use the coupon code “SAVEMORE” when you check out right now. The website offers Reading Rewards where you earn $5 for every $50 you spend. On a typical book website, you might rack up more $5 stipends than you will on Thriftbooks. For the sake of savings, I’d advise you to invest in additional bookshelves in advance. Thriftbooks also has a Tell-A-Friend program where those who create a free account get a 15% off coupon, as does the person the newcomer signs up under. You can sign up under my link here and we will both get 15% off our next purchases. Book Depository has a plethora of best sellers, new releases, and top picks for readers of all ages. One of Book Depository’s signature feats is their free worldwide shipping. This website has over 17 million available titles ready to be purchased by you. Check out the Bargain Shop section on the Book Depository website for even larger savings. You can get shopping now by clicking here! Book Outlet claims to have “read-iculously low prices” and they mean it. Just peruse their website and you’ll see exactly what they mean. All of their books are 50%-90% off the original retail price. Book Outlet, much like Thriftbooks, also has a rewards system. With every dollar you spend and friend you invite to Book Outlet, you earn points. Your points become Book Outlet credit. 100 points equates to $5. For every two dollars you spend, you get one point. For every friend you introduce to the site, you get 200 points (or, in other words, $10 credit). You can also earn points by following them on social media, creating a free account, and signing up for their newsletter. Book Outlet has free shipping on all orders over $35. You can start buying books from Book Outlet right now, right here. I hope that you all get as much out of these discount book websites as I do. Hooray for cheap reading! Share with us what books you purchased from these websites (and for how much) in the comments section to let everyone else know how little they can spend for the books they want to read.